Donald Prenoslo grew up in Sherwood Park, Alberta, recieved his B.Sc. specializing in geology from the University of Alberta in 2014. Throughout his undergraduate degree he was fortunate to obtain summer work terms at ARC Resources and Canadian Natural Resources Ltd. During those work terms he developed a passion for the oil and gas industry and decided to pursue a M.Sc. in sedimentology and ichnology focusing on their applications to oil and gas exploration. 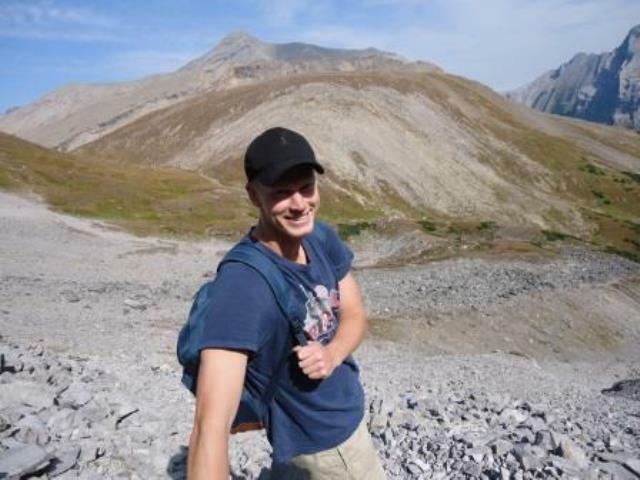 He is currently working on his Masters at the University of Alberta under the supervision of J.P. Zonneveld and Murray Gingras and expects to complete his thesis in September 2016. He spends his spare time hiking, camping and playing basketball, soccer and golf. The objective of this research is to establish a detailed stratigraphic framework, develop accurate depositional models, and characterize porosity and permeability distributions in the Lower Triassic Montney Formation around the Pouce-Coupe-Dawson area in northeastern British Columbia. Gaining a better understanding of the depositional setting and the petrophysical properties of the Montney Formation will decrease exploration risk in an important but poorly understood stratigraphic interval.